Spending time in France, being in India, can come true if you are visiting the small coastal town of Puducherry (popularly known by its old name – Pondicherry). Pondicherry is a melting pot of Indo-French cultures. Even when you take a stroll along the picturesque Rues (‘Streets’ in French) of Pondicherry, it is hard to decide which country you are in! Town of Pondicherry in India is distintly divided into the White town (French Quarter) and Black town (Indian Quarter). This again exemplifies how the two cultures have grown hand in hand in this coastal town. Long gone are the days, when Pondicherry was a lonely speck of land. Today, Pondicherry tourist places are visited by thousands each year, making it a hub of tourism in India. 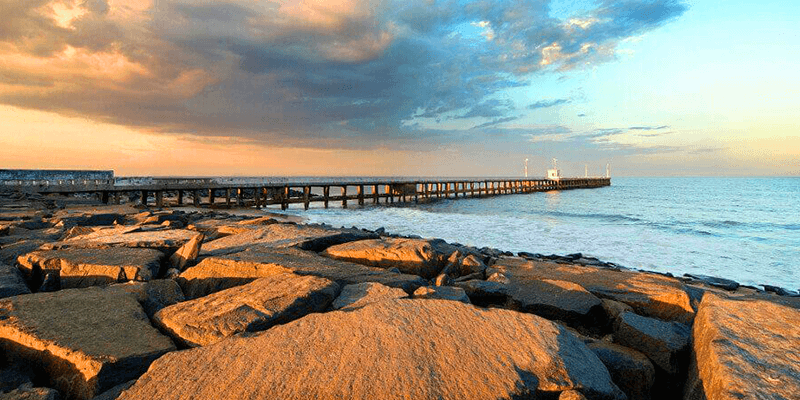 So, let us take a trip through some of the best places to visit in Pondicherry. If you want to learn a bit about Pondicherry history, then head straight to this historic city. Situated some 4.5 KM away from Pondicherry city, Arikamedu (meaning ‘eroding mud’) remained buried until it was excavated in 1945. 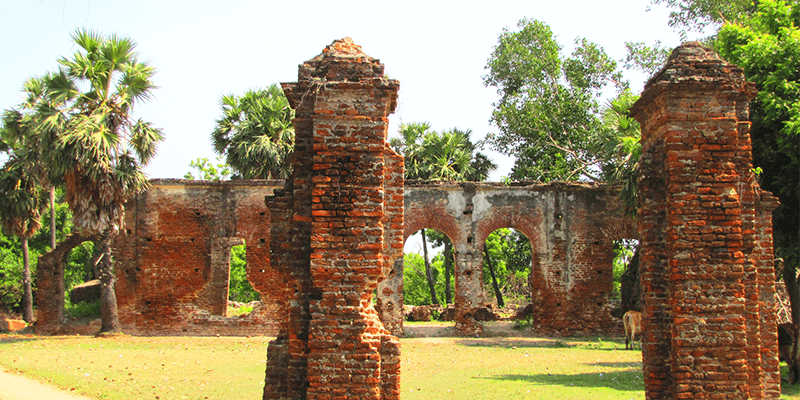 Today, Arikamedu is an important historic site lying on the banks of Ariyankuppam River. Arikamedu excavations indicated the city’s connection with ancient Rome. These findings helped establish the fact that Arikamedu was infact an important Roman trading post in India. During its heydays Arikamedu would export silk, spices, bead works and terracotta items to Roman shores. And in return the traders would bring back the Roman potteries (amphora jars for wines, cups and plates made of Terra Sigillata, a type of Roman clay) and jewelleries. The remnants of this once prosperous trading city bears resemblance to Greco-Roman style of architecture. Tip: There are not many eating options available near Arikamedu, so you must carry some snacks and water bottles along. Aayi Mandapam is an attraction for Pondicherry tourism. 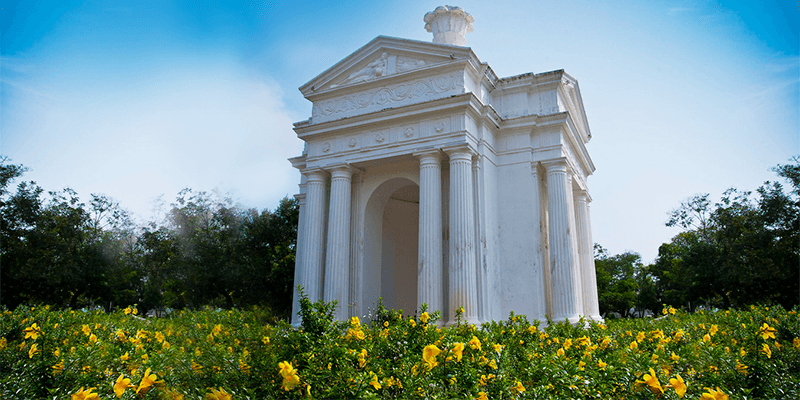 This Greco-Roman styled monument, situated in Bharathi Park, is associated with an interesting folklore. As Pondicherry history books go, during the reign of King Krishnadevaraya of Vijayanagar Empire, there lived a prostitute who went by the name of Aayi. This lady demolished her own house to construct a water tank that would solve the water crisis of the town. The king recognised this sacrifice of Aayi and rewarded her. Later on, a water channel was built from here to Puducherry town. In the 16th century, then king of France, Napoleon III built the Aayi Mandapam (or La Place du Panthéon) to honor the noble deeds of a commonplace woman. Trivia: This monument was designed by famous French architect Monsieur Lamairesse. Shopping: Care to check out the Indo-western outfits, candles, essences, incense sticks here. 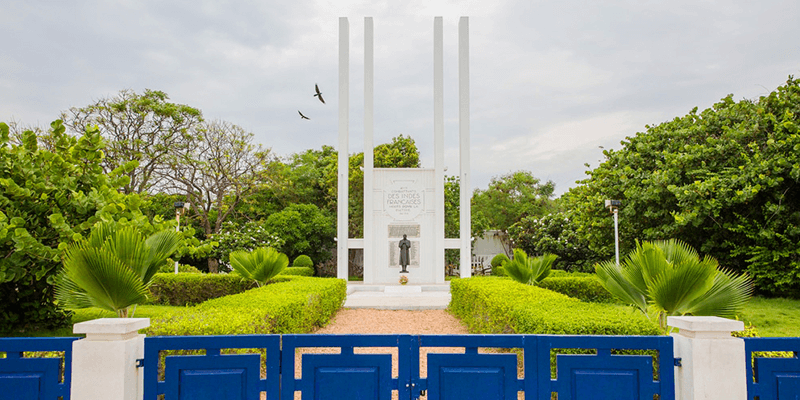 Situated along the Goubert Avenue, opposite to the Gandhi Statue, this white sea facing monument was inaugurated in 1938. The monument was built in memory of all those brave soldiers who sacrficed their lives during World War I. The memmorial becomes a hub of action on the eve of Bastille Day (14th July of every year), when it is lit up and various cultural programs are organized to celebrate the French National Day. The French War Memorial comprises of four tall pillars that seem to disappear in the sky. Trivia: Behind the war memorial there is a bronze-made bas relief that represents the arrival of Dupleix in Puducherry. Shopping: There are shops on Goubert Avenue where pictures of the memorial are sold. You can buy them as memoribila. Tip: You can stroll around the memorial as entry inside is not allowed. Also witness the beautiful Graffiti on the walls. Pondicherry remained a French colony for nearly 200 years. And the Le Cafe is a time machine ready to take you on a journey through the days of colonial rule in Pondicherry. 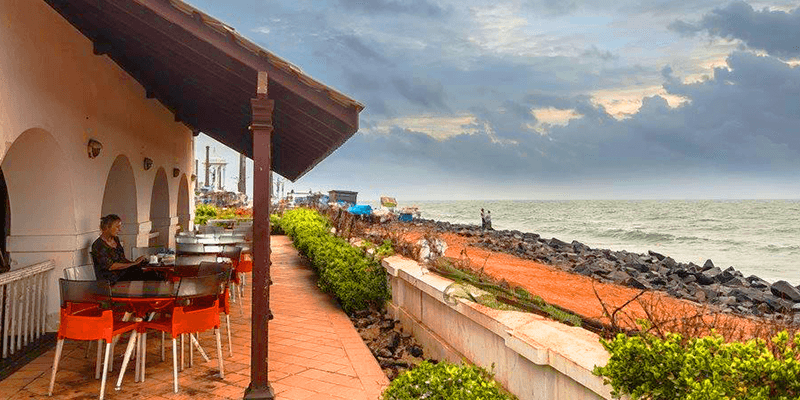 Situated near Promenade beach, this restaurant in Pondicherry is known for its authentic French cuisine and walls adorned with old time photographs of Pondicherry. Promenade Beach is the most popular Pondicherry beach. Spanning across a stretch of 1.2 KM (from the War Memorial to Dupleix Park), this beach allows you to enjoy the ebb and flow of the water. If you can grab a seat on the rocks along the edges of this beach, you might have the opportunity to take a spray of seawater. If Promenade is the most popular beach, then Serenity Beach is the most beautiful one. The beach is adorned with palm trees and other vegetations. 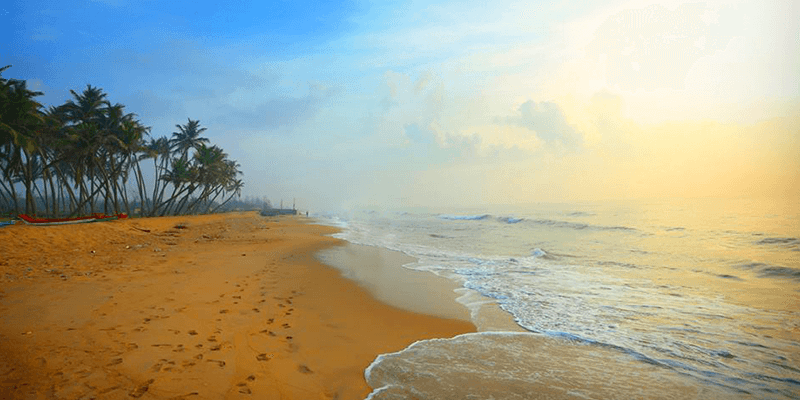 The golden sands coupled with the glistening Bay of Bengal waters, gives a photogenic look to the beach. Tip: The waves here are bigger than Promenade, so stay close to the shoreline while swimming. Ousteri Lake is known for its natural beauty. 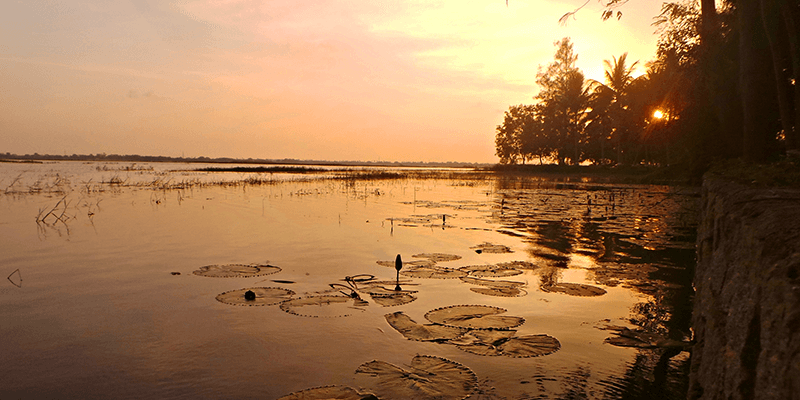 Filled with Lotuses, this lake and wetlands are home to many rare species of birds such as flamingos, pelicans, cormorants, terns, etc. Boating is a special attraction of this beautiful lake. Tip: If you want to take some memorable photographs of the lake choose the twin peddlers. Bharathi Park, situated near Aurobindo Ashram, is best known for its collection of various rare plant species. 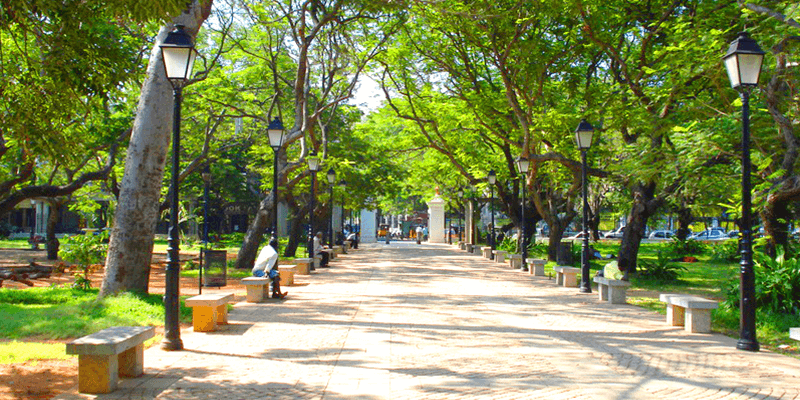 Named after a renowned Tamil poet, the park is divided into four parts and each has its own list of things to do in Pondicherry. A climb to the hill top, within this park, would provide magnificent views of the surroundings. 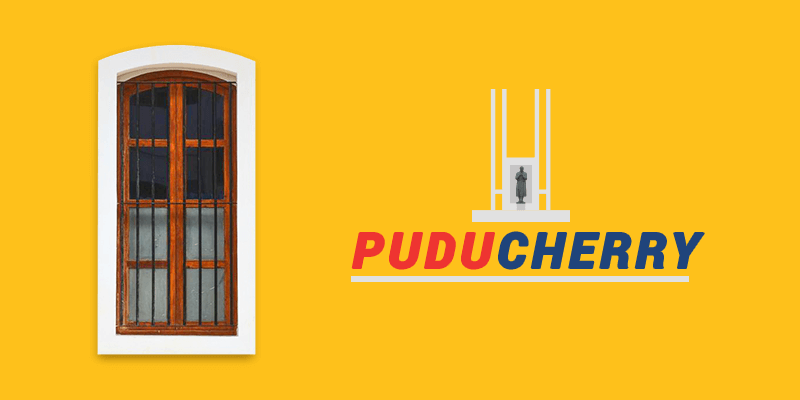 Must see: Visit the Roman Rolland Library and French Institute to know more on how the town of Puducherry has evolved. Tip: Photograph the beautiful monument of Aayi Mandapam and other large trees within the park. Good work. Nicely written with beautiful pictures. keep updating.